Our constantly changing selection of consigned furniture arrives daily. Choose from all styles of decor at affordable prices. Our ever changing selection of home accessories include picture frames, wall art, lamps, rugs, table decor and more. 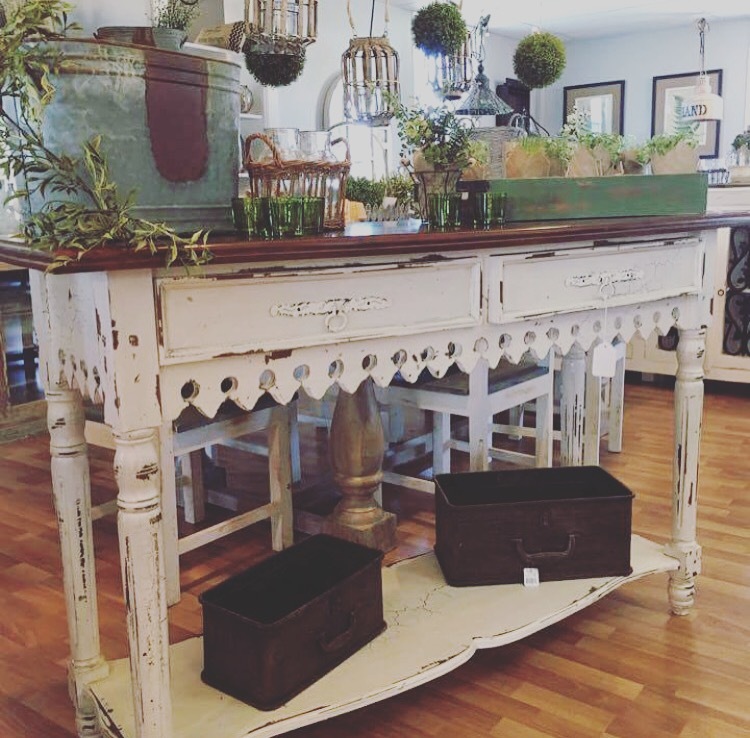 From new, consignment and seasonal decor we have a large selection to fit your needs and style. This collection of beautiful solid wood pieces are created to look aged and distressed, styled to fit your every need. From Farmhouse, Rustic, French Country, Painted, Shabby Chic, Vintage, Traditional, Primitive, Industrial, Modern, to unique gifts and paints. Belle Patri has created an amazing and eclectic mix of new and consignment home furnishings and accessories that will truly make your house a beautiful home. Come see why Belle Patri has been voted Harford's Best!! !